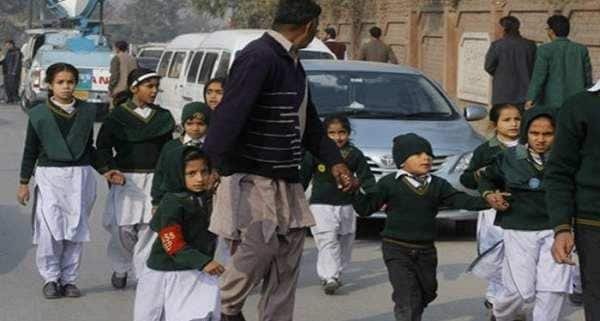 While the world is reeling under the latest attack against a Army School in Peshawar where countless children and teachers were killed terrorists, world people are expressing remorse for the incident. The incident certainly raises a very important question, what makes a terrorist? While everyone talks about world peace, we take a step further and try to understand what happens inside the mind of a terrorist. Why are the terrorists kill children? And why are children are taught to be a terrorist? In a memorable episode of Vice, a show aired on HBO, Shane Smith, co-founder of Vice went to Afghanistan to see what really makes a terrorist and why the children were indoctrinated to be suicide bombers. Their findings were shocking. During the show, Shane talks with extremists and terrorists, some of whom were young men who were just 14 years -old. In one such segments Shane spoke Kanjhar a 14-year-old suicide bomber who was captured by police before he detonated his vest packed with explosives. Here’s why the boy agreed to become a suicide bomber. While this may be a side of the coin and in my opinion, it may sound a little empathetic towards these people that kill millions of innocent people, this raises a very important question : How can you kill a child to another child? Why and how can a person kill others and himself? What should go in your mind while you kill? These human beings are born with the same emotions that we or are monsters who have no feelings of any kind? Well, to answer this question, we spoke to Dr. Radha, now retired HOD of clinical psychology, JIPMER, Pondicherry . Here’s what he had to say. What sets these guys apart from infiltrating schools and make it their mission to kill children? According to Dr. Radha , ‘There are many reasons why people do what they do. A look at early childhood can be a good indicator or what happens in the mind of a terrorist or a child who is willing to kill innocent people. “These are some reasons, she says, helps to shape the mind of a terrorist. Related Post: Did you know itchy skin can be a sign of diabetes? What tops the list is the need for revenge and belief in the idea of ​​”an eye for an eye”. in the case of the bombing of Peshawar, people who took responsibility for the attack said they did so because the Pakistani Army was killing their family members and therefore decided to children Army. But what is pathetic is the fact that these men who actually carried out is not thought that once these children were innocent and had nothing to do with the death of their relatives. the sense of wanting the blood of another is a very powerful catalyst and can feed an entire crowd to start a massacre. according to the evaluation Dr. Radha, things like a troubled childhood, broken families, abusive relationships, rejecting parents very early, poor living conditions, extreme poverty, lack of food, education and basic services can lead to this kind of mentality. But apart from all that, it is said that the only thing that impacts the mind of an older child is being raised and live in a place that sees only violence, bloodshed and hatred. For this compound these people are taught, either directly or indirectly, that must fight for a holy cause. These people are brought up in these environments where death and destruction on a daily basis are and are led to believe that this is the way of life. People who become terrorists, either a child or an adult, also lack basic education and value They do not understand the good from the bad. You must understand that these people live in an area where religious beliefs color their view of the world, so that a religious leader says in law, is believed to be the gospel truth. These people do not know what true good of evil is. Another factor is that most terrorists or those who kill are sadists. No empathize and do not mind if they kill a child, an adult or anyone else. See someone in pain gives them pleasure. Besides the people who do these acts are often formed as a result of mob mentality. These men and women want to be accepted in the groups they think they are a part of, and to achieve the combined target groups. Lack of empathy, and the belief that there are no bad consequences of their actions are also urged. So they do as they are told because their actions are rewarded for any of the belief that they will go to paradise or get money. Besides these people are also extremely poor families and are told that your family will get the money, his sisters married and your life will be safe – a lure that is more than enough to get a terrorist movement to join. But why these people agree to die? And the innate sense of defense we have? must realize that these people are told that if they die are rewarded or his family is rewarded. So for them the long-term benefits are larger and much better than living. These men were also said to be tortured if they are captured, the greatest mission will fail and may be threatened with other adverse consequences. They were also told they must die and not be trapped, because if they do, then your life will be worse than death.